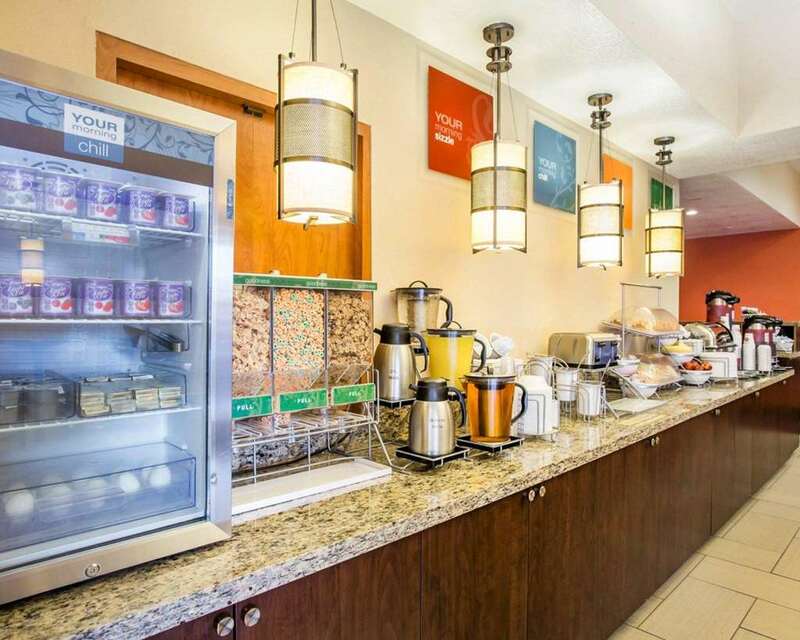 The Comfort Suites hotel in Clovis, CA, near California State University, Fresno, will get you refreshed and ready to take on the day for business or leisure. Fresno Yosemite International Airport, downtown Fresno and the Fresno Convention and Entertainment Center are nearby. Amenities at our smoke-free hotel include free hot breakfast, free WiFi, free coffee, free weekday newspaper, an outdoor pool, exercise room, business center and guest laundry facilities. Each spacious guest suite features an HDTV, refrigerator, microwave, coffee maker, hair dryer, work desk, safe, recharge device, iron and ironing board. Also, earn rewards including free nights and gift cards with our Choice Privileges Rewards program. No pets allowed, only service animals.